YouTube has one of the largest video archives present on any website, in today’s time. 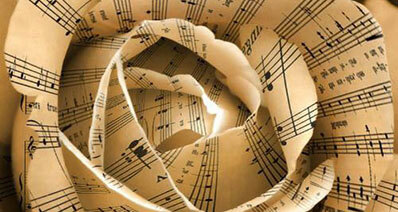 Videos ranging from tutorials to sports to the latest songs are available there. Watching videos online has its perks, but we sometimes have the urge to share our favorite videos with our friends and families or just watch them offline. 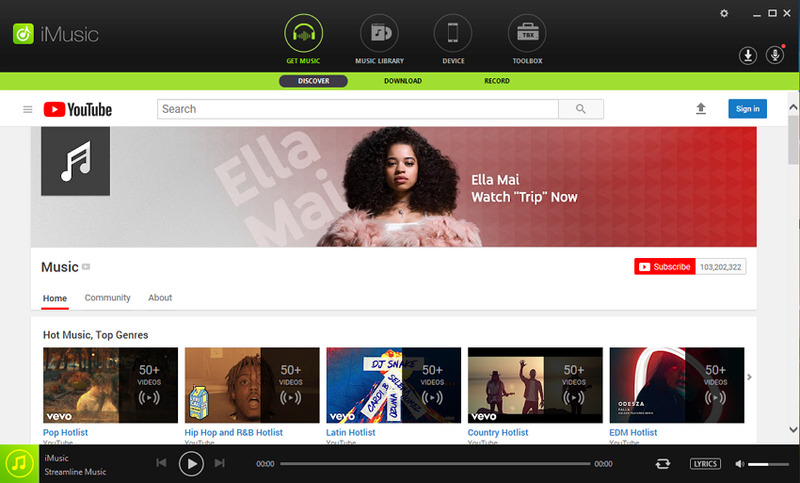 Downloading YouTube videos seem like a rather difficult task, but iMusic has made the whole process very easy. iMusic is one of the reigning music apps. 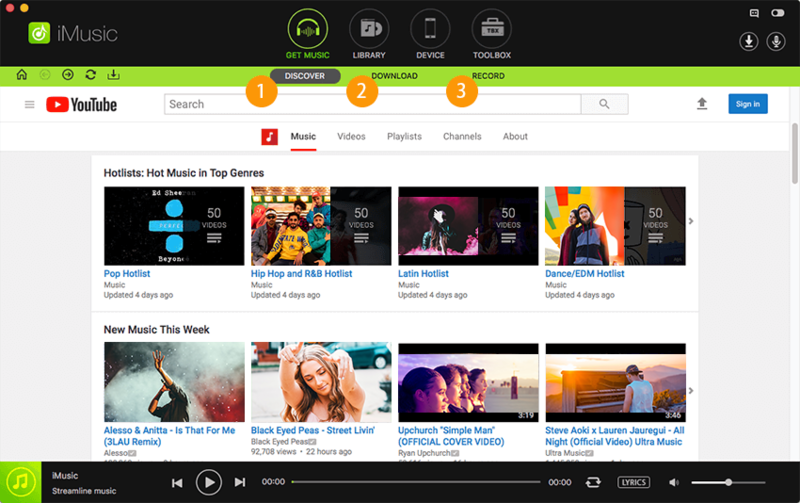 Its offers a variety of functions which include downloading videos from popular websites such as YouTube, Spotify, Vevo, etc. The app makes it very convenient for you to handle your music collection and edit is as you wish. Step 1: First of all, download the application on your PC or Mac. After that click the Get Music icon at the top of the application, and this will showcase options such as download and discover. Step 2: Click the download option, a window will open. That window will consist of a URL box and under that box will be icons of popular websites such as YouTube, Vevo, Soundcloud and spotify etc. Step 3: Click on the YouTube icon and this will lead you YouTube’s official homepage. Search for the music video you require and open it. Once the YouTube page consisting of your required video is open, click the tiny download button present on the top left corner of the app. Step 4: The app will then ask the format in which you want to download the music video, select the format you need and then hit download. 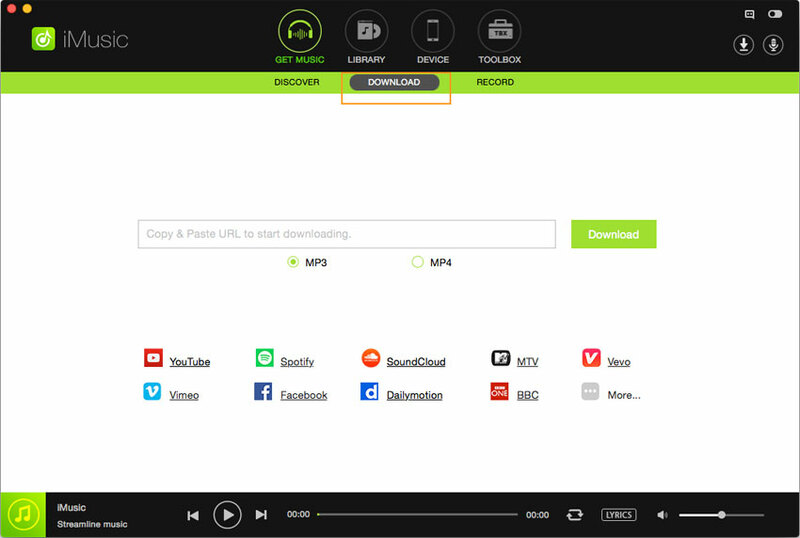 This will enable the download process to begin and the video you selected will be downloaded after a few minutes. 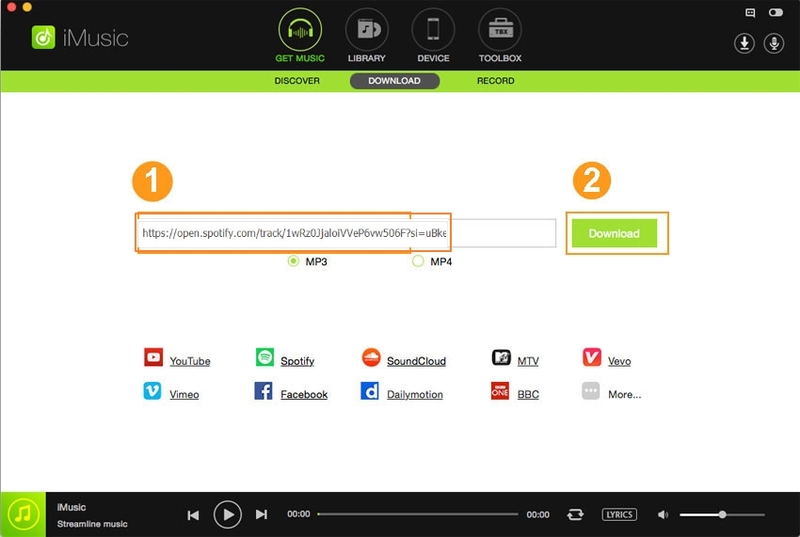 The second method to download Music Videos from YouTube is using the 1-click method. It is very easy and unique as compared to the first method. Run the iMusic on your computer and minimize the application. Open Web Browser and go to YouTube.com from your internet browser. Search for the music video that you want to download and “play” it. Now, a new notification will pop-up on the right side of the screen asking you to download that video. YouTube has also help rank the top Music videos of all time. Following are the 20 most popular music videos according to the YouTube user database. How-to > Download Music > How to Download Music Videos from YouTube?